For the most part, I prefer to knit my socks from the leg down to the toe. Three of the most common methods for shaping the toe in leg down socks are short row toes, star toes (my favorite for socks using slightly heavier yarn) and paired decrease toes. The basic idea for paired decrease toes is that the shape is created by decreasing two stitches (hence the name "paired") on each side of the foot. Usually the paired decreases occur every other round until half of the original number of stitches remain and then every round until 8-12 stitches remain. Finally, you close the toe with the Kitchener stitch. A decrease stitch is made on each side of the center of the swatch. 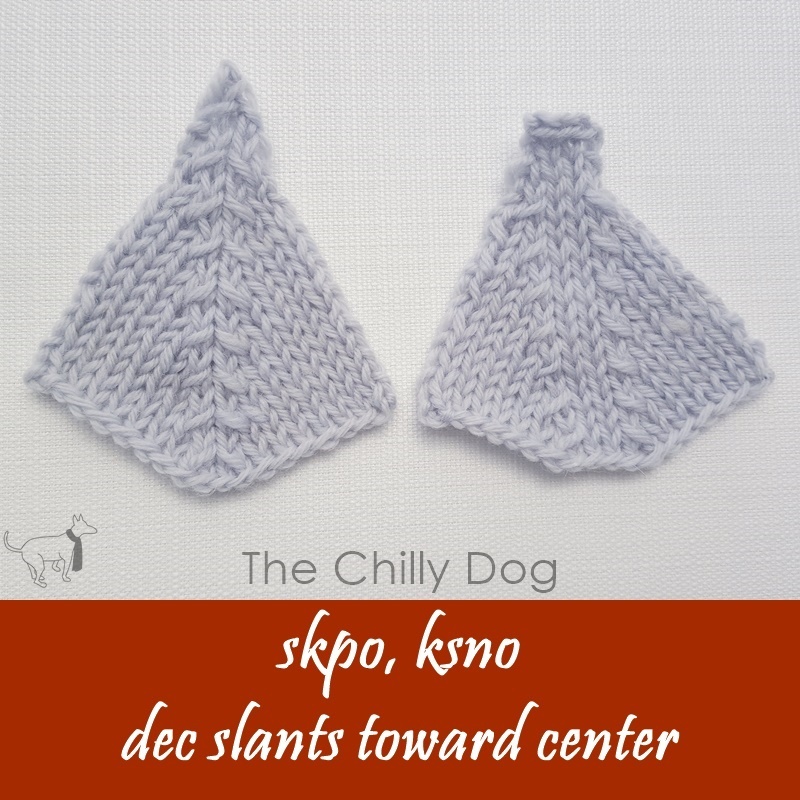 Some knitters prefer a banded, paired decrease, especially when knitting socks for thicker feet. Adding two stitches between the decreases creates a nicely defined band. 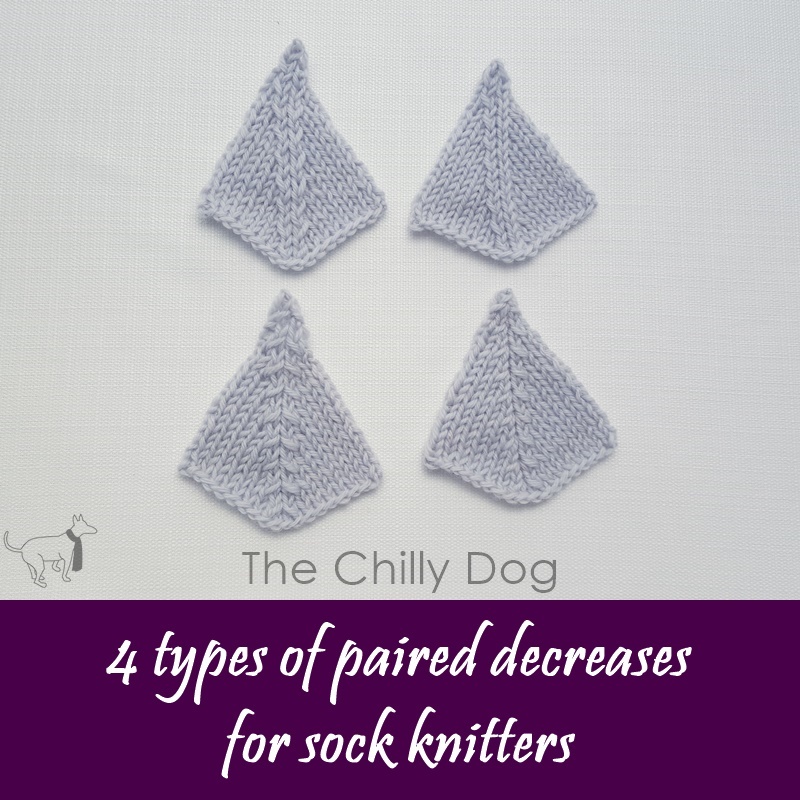 Now let's take a closer look at the different types of decreases you can use. There are four decrease stitches you should be familiar with. Combining the different decreases creates a slightly different effect. For each of my swatches I made a paired decrease on the right side rows and worked the wrong side rows even (with no decreases) The swatches on the right of each example are banded, so there are two stitches between the decreases. 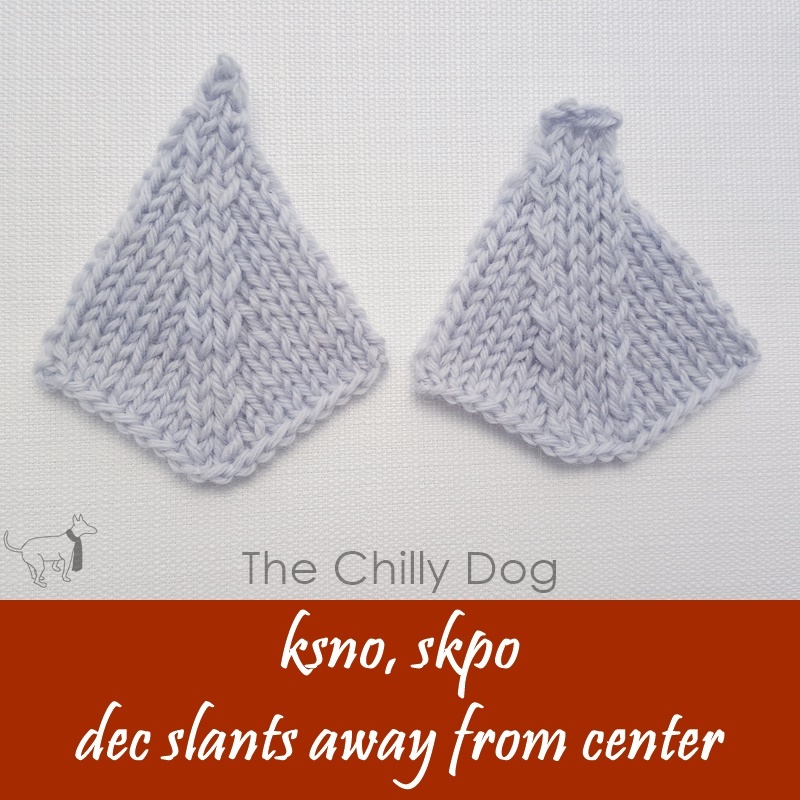 the pair of decreased stitches slant away from the each other. the pair of decrease stitches slant towards each other. What type of toe are you going to use for your next pair of socks? 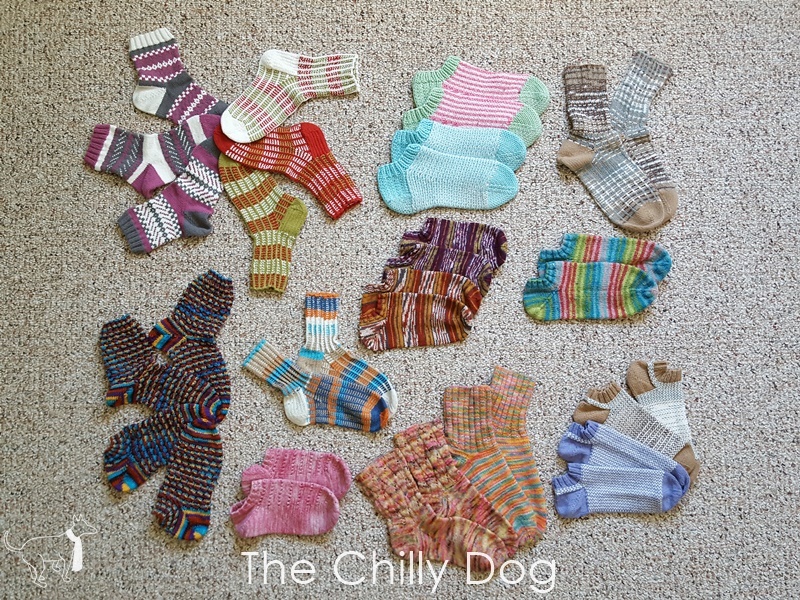 A comparison of 8 different styles of paired decreases for knit sock toes.